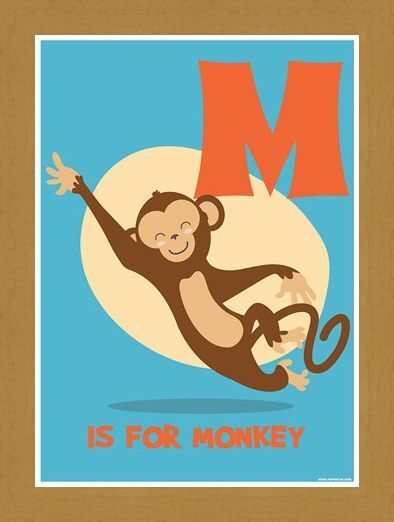 Well now, whose a cheeky monkey!? 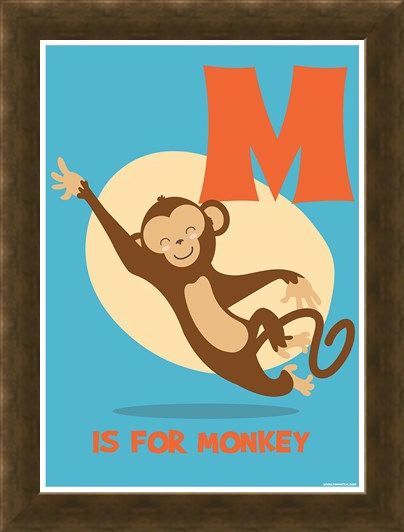 This super-cute mini poster in baby blue is a fantastic way to keep your children engaged and excited to learn their ABC's! 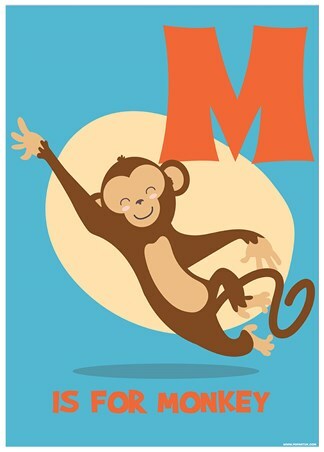 This particular poster features the letter 'M' and has been decorated by a chirpy monkey, swinging into action, with one hand high in their air. 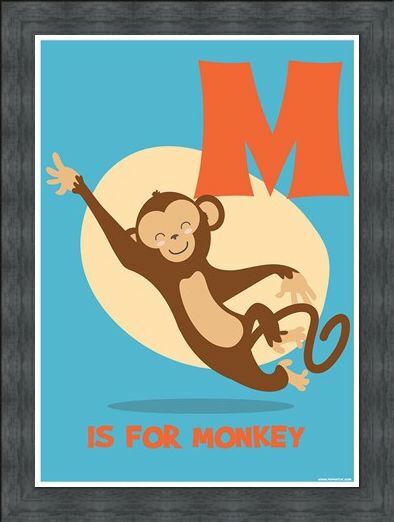 Whether alone or paired with the rest of the collection, this colourful alphabet poster is a great way to remind your child how fun learning is. 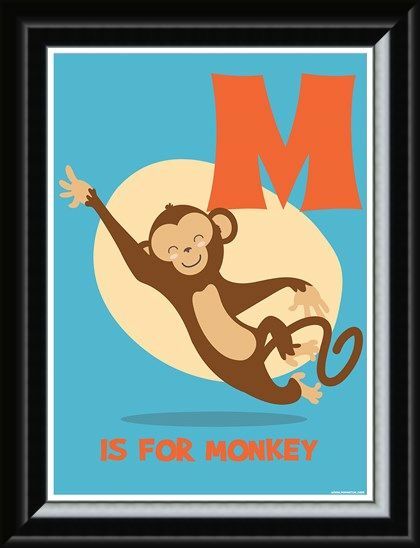 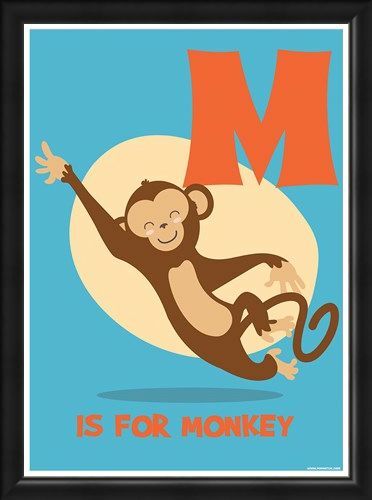 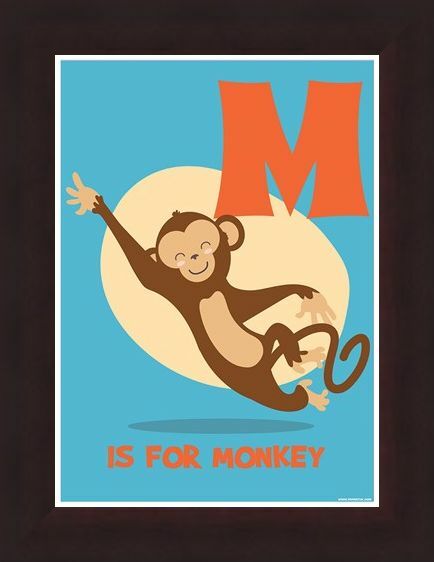 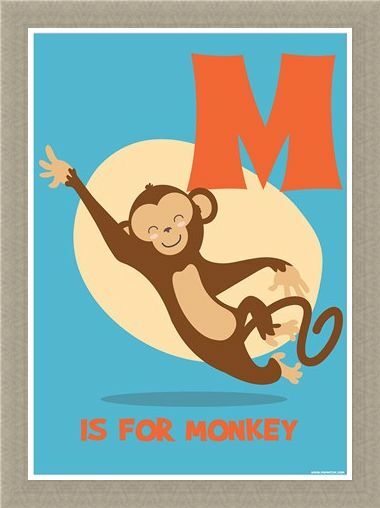 High quality, framed M Is For Monkey, Learning For Children mini poster with a bespoke frame by our custom framing service.